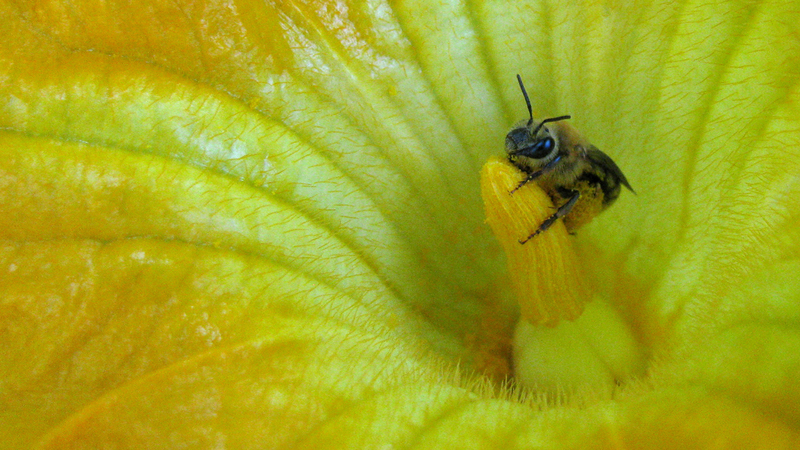 Squash bee (Peponapis pruinosa). Photo credit: Elsa Youngsteadt. Click to enlarge. Using genetic markers, researchers have for the first time shown how cultivating a specific crop led to the expansion of a pollinator species. In this case, the researchers found that the spread of a bee species in pre-Columbian Central and North America was tied to the spread of Native American agriculture. “We wanted to know whether P. pruinosa spread along with those crops,” López-Uribe says. 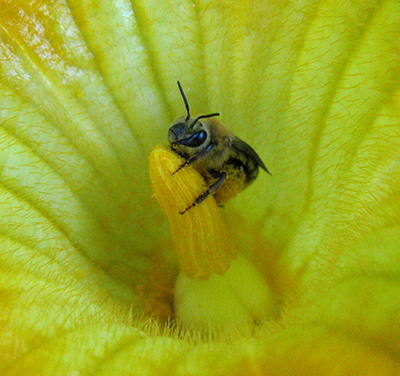 To find out, researchers looked at DNA from squash bee individuals, collected from throughout the species’ range. P. pruinosa can now be found from southern Mexico to California and Idaho in the west, and from Georgia in the southeast to Quebec in the north. By assessing genetic markers in each bee’s DNA, the researchers could identify genetic signatures associated with when and where the species expanded. For example, the researchers found that P. pruinosa first moved from central Mexico into what is now the midwestern United States approximately 5,000 years ago, before expanding to the East Coast some time later. 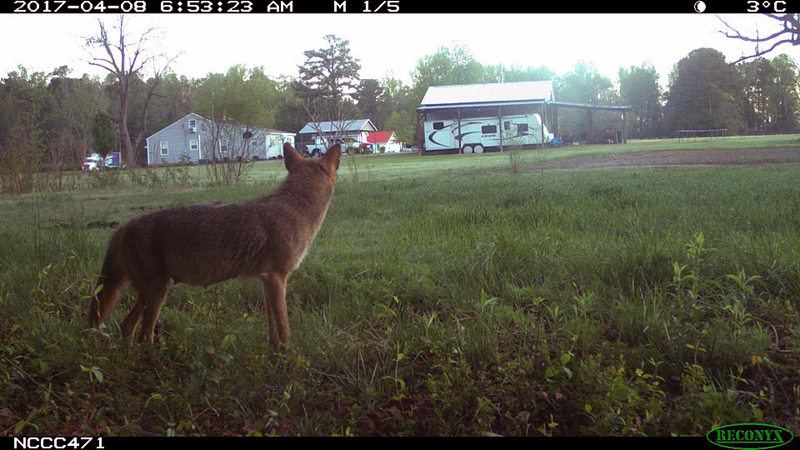 The researchers also found that genetic diversity decreased depending how “new” the species was to a given territory. For example, genetic diversity of squash bees in Mexico was greater than the diversity in the Midwest; and diversity in the Midwest was greater than that of populations on the East Coast. Given the declining genetic variability, researchers expected to see adverse effects in the “newer” populations of P. pruinosa. “We were specifically expecting to see an increased rate of sterile males in populations with less genetic variability, and we didn’t find that,” López-Uribe says. “But we did find genetic ‘bottlenecks’ in all of the populations – even in Mexico. 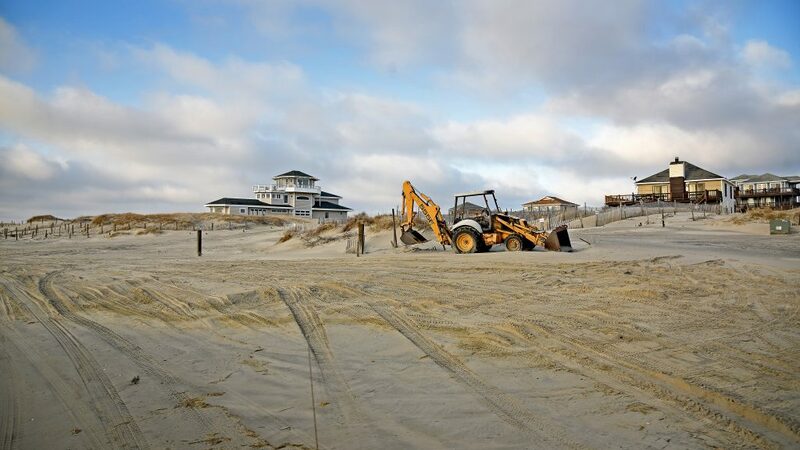 “Because P. pruinosa makes its nests in the ground near squash plants, we think modern farming practices – such as mechanically tilling the soil – is causing the species to die out in local areas,” López-Uribe says. “And we think that is causing these more recent genetic bottlenecks. “I’m hoping to work on this question in the near future, because it’s important to helping understand the relevant bee’s population dynamics in modern agricultural systems, as well as what it may mean for Cucurbita crops,” López-Uribe says. The paper, “Crop domestication facilitated rapid geographical expansion of a specialist pollinator, the squash bee Peponapis pruinosa,” is published in the journal Proceedings of the Royal Society B. The paper was co-authored by James Cane of USDA-ARS in Logan, Utah; Robert Minckley of the University of Rochester; and Bryan N. Danforth of Cornell University. The paper was done with support from the National Science Foundation under grants DEB-0814544 and DEB-0742998. Abstract: Squash was first domesticated in Mexico and is now found throughout North America (NA) along with Peponapis pruinosa, a pollen specialist bee species of the squash genus Cucurbita. The origin and spread of squash cultivation is well-studied archeologically and phylogenetically; however, no study has documented how cultivation of this or any other crop has influenced species in mutualistic interactions. We used molecular markers to reconstruct the demographic range expansion and colonization routes of P. pruinosa from its native range into temperate NA. Populations east of the Rocky Mountains expanded from the wild host plant’s range in Mexico and were established by a series of founder events. Eastern North America was most likely colonized from squash bee populations in the present-day continental Midwest USA and not from routes that followed the Gulf and Atlantic coasts from Mexico. Populations of P. pruinosa west of the Rockies spread north from the warm deserts much more recently, showing two genetically differentiated populations with no admixture: one in California and the other one in eastern Great Basin. 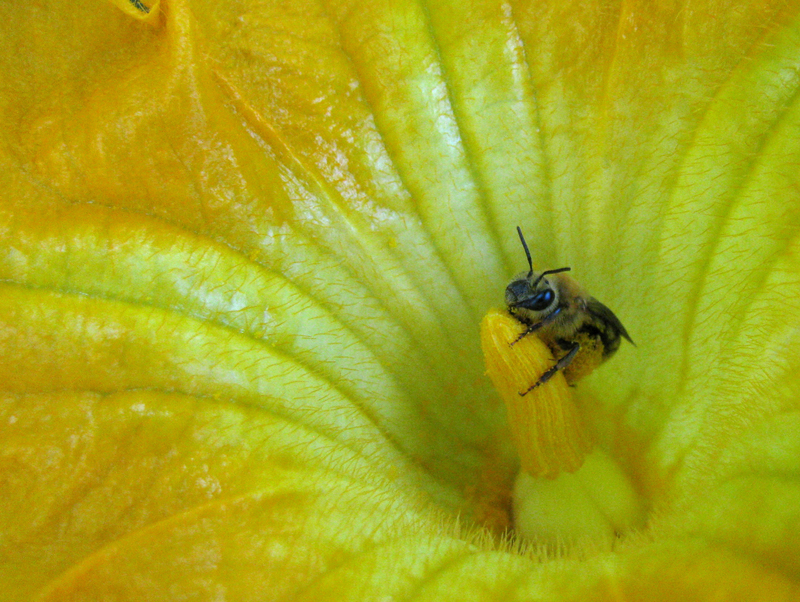 These bees have repeatedly endured severe bottlenecks as they colonized NA, following human spread of their Cucurbita pollen hosts during the Holocene.